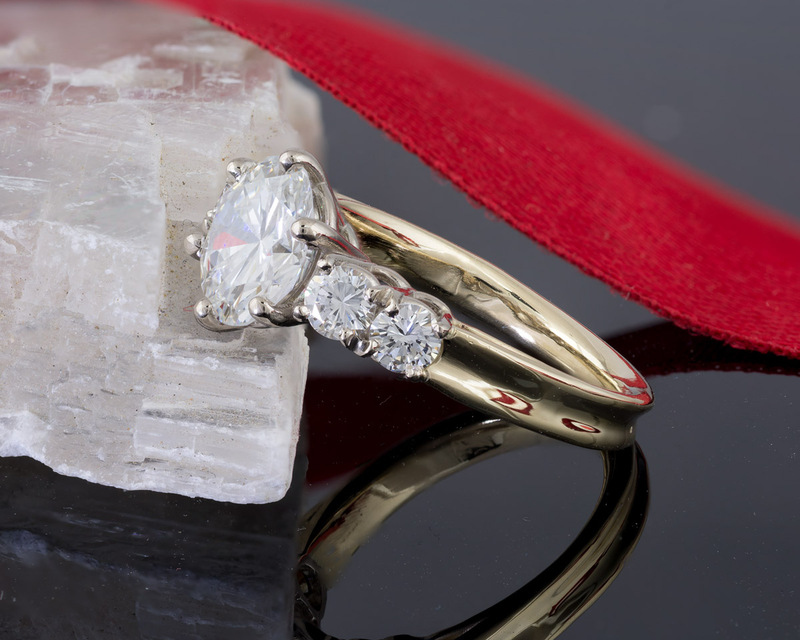 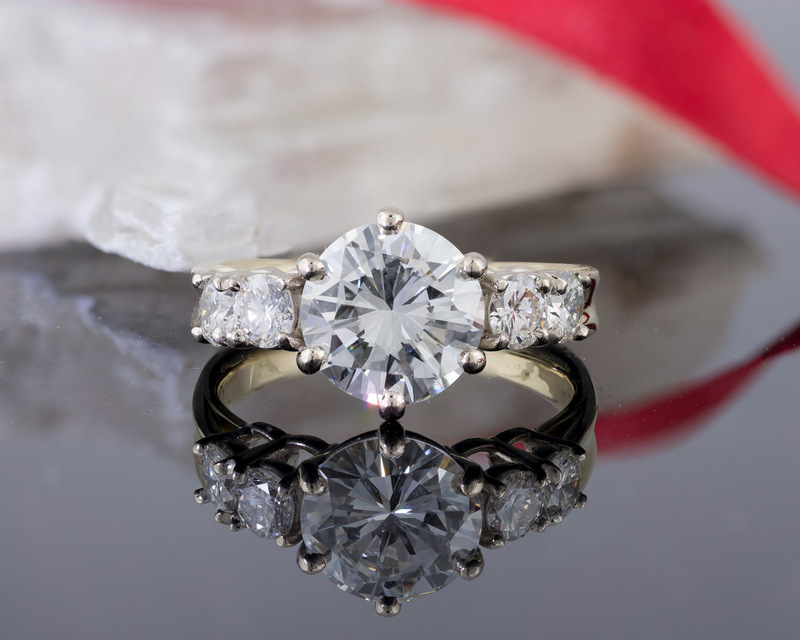 Here we have made an engagement ring that is nonetheless dazzling for its understated design. 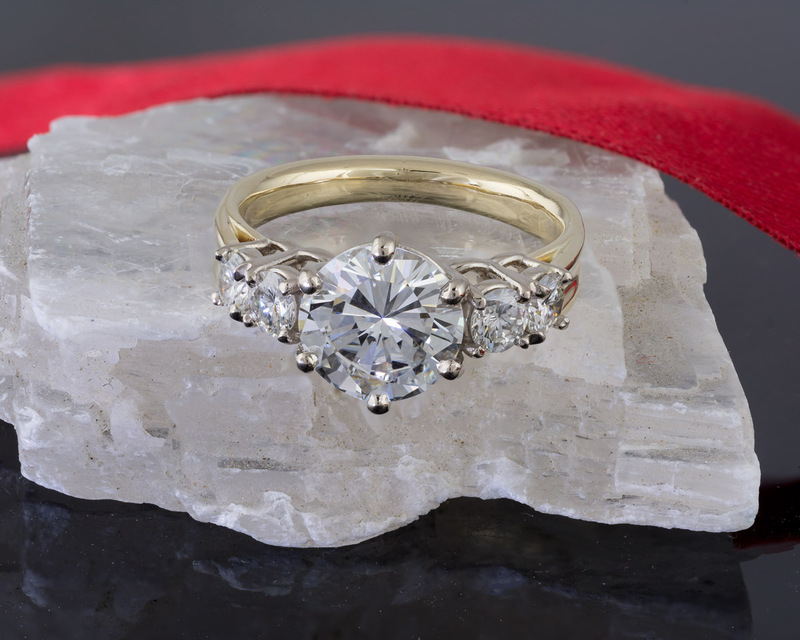 The ring features five sparkling round brilliant diamonds. 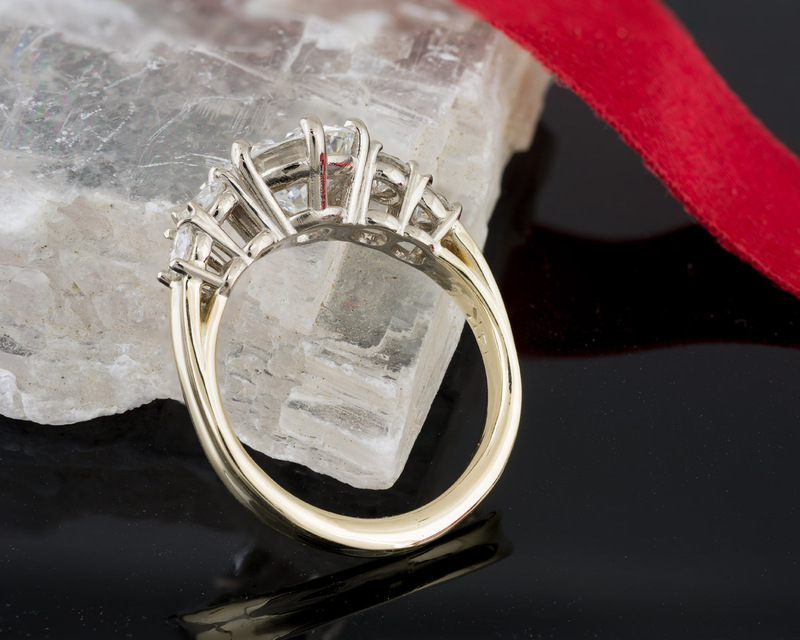 The beauty is in the detail; the integrated mountings gives a congruence to the piece, while a subtle indentation around the shank adds a certain elegance.